Ray the Flying Squirrel and Mighty the Armadillo appear. 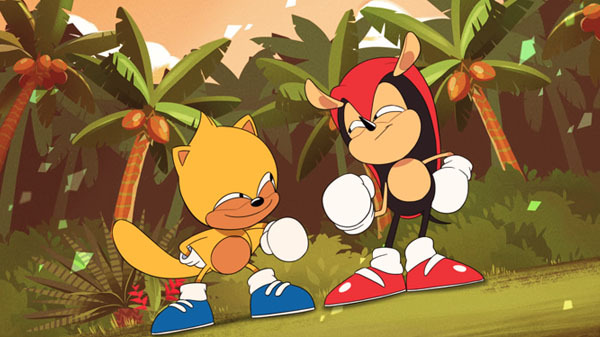 Sega has released the fourth part of its animated shorts series Sonic Mania Adventures. Ray the Flying Squirrel has been looking for his best friend, Mighty the Armadillo, but he can’t find him anywhere! As he continues his search, he hears something nearby. Could this finally be Mighty, or is it something far more dangerous? If you missed it, catch Part 1 here, Part 2 here, and Part 3 here.